Zach joined the team in 2018. His background in both personal financial advising and qualified retirement plans makes Zach a valuable resource for navigating the needs of both the owner and the business through the challenges of exit planning. 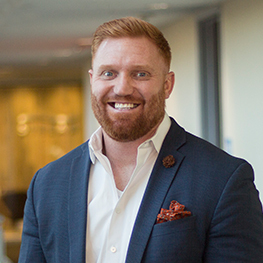 Zach graduated from the University of Phoenix with a Bachelor of Science in Management and Manufacturing, and currently attends Regis University in Denver working toward a Master’s in Business Administration. Zach served 4 years in Marine Special Operations. MARSOC accomplishes its mission by selecting the right people for the right jobs who will do the right things for the right reasons. After moving back home to Colorado with his wife Dawn, he worked in Oil and Gas, managing relationship and negotiating contracts. In 2016 he joined Northwestern Mutual as a Financial Advisor.